It's been some time since I last posted anything and I've decided that I should stop ignoring the blog and get back into my beauty blogging roll again. 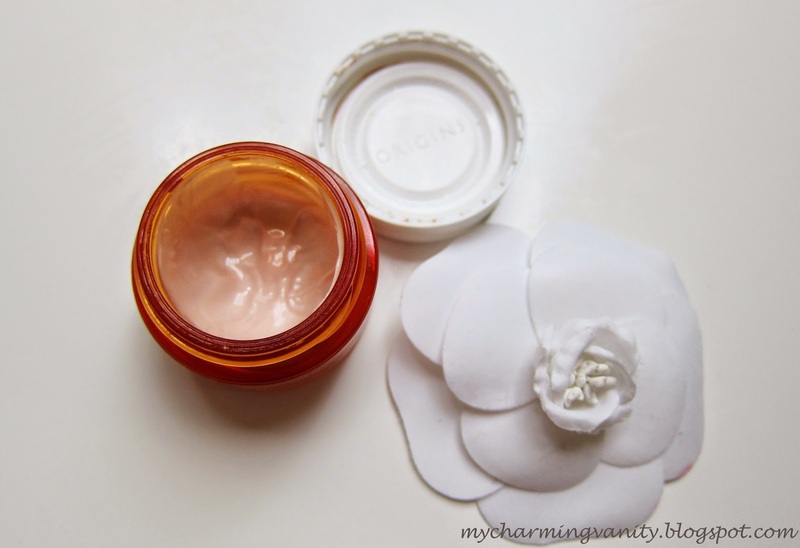 To start off, I thought I would share a recent favorite of mine, the Origins Ginzing Eye Cream. 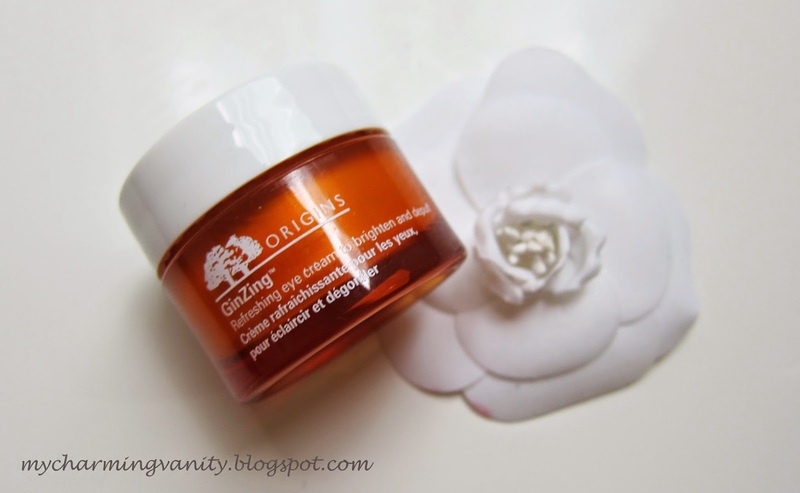 Origins Ginzing Eye Cream is described as a refreshing eye cream which brightens and depuffs the eye area, removing the appearance of unsightly bags, puffiness as well as instantly reduces dark circles. The key ingredients of the product includes caffeine from coffee bean, Panax Ginseng, Magnolia Extract and natural optic brighteners. I love the product as a day eye cream. It comes in a creamy salmon colored texture that on first glance, it's hard to imagine that it is actually a skin care. The consistency is easy to blend and I also find that my undereye area absorbs the product fairly quickly, which works well for me as I always prefer to spend the least time getting ready for work every morning. In terms of depuffing and brightening, I find the latter claim to be very accurate as the salmon color counteracts the dark circles under my eyes effectively. 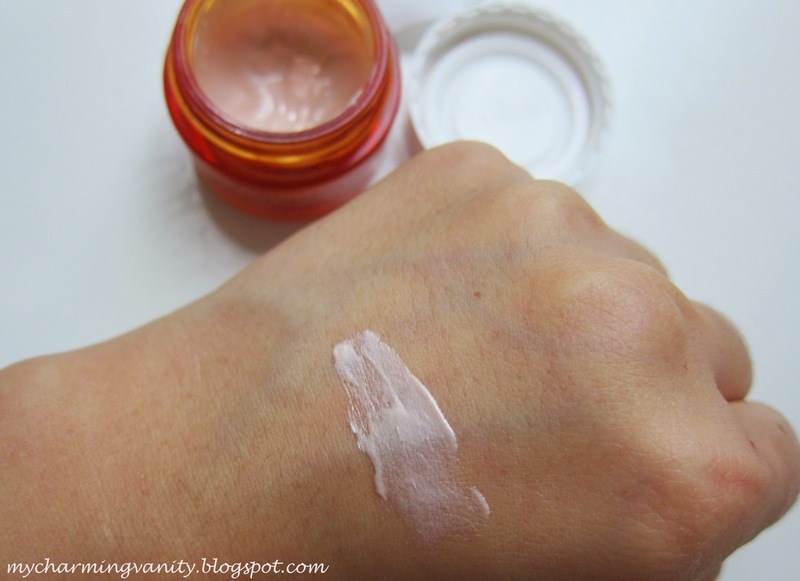 As for depuffing, I don't really see much of this effect on me but I'd say that the product works very well in providing a cooling effect to my undereye area which wakes up my often tired eyes every morning. 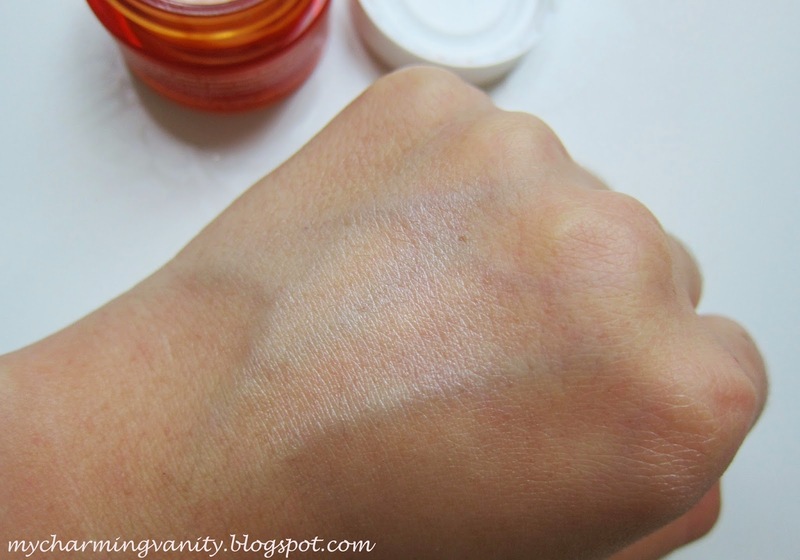 Overall, this is definitely a great undereye cream for the day and if you are looking for something similar, definitely check out this product! Thanks for dropping by Tammy!